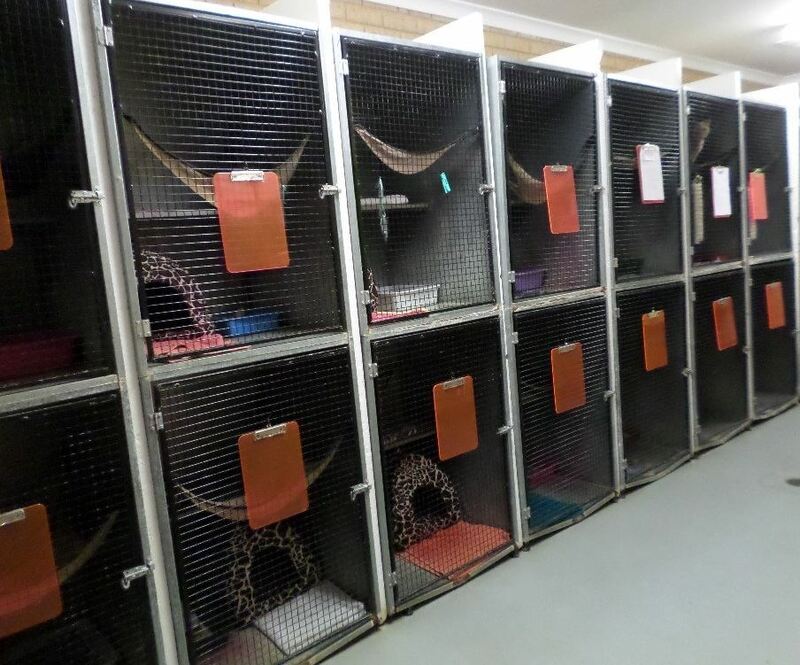 Our designated cat boarding facility offers a convenient "home away form home" for your feline friend. With spacious cages and a large exercise and play area, we can be sure to address the needs of even the most fussiest guests. We understand the importance of minimising any stress your cat may feel during boarding and aim to make the experience as comfortable as possible. Our guests' accomodation is cleaned daily, while we only use premium cat food. We also ensure plenty of exercise time and we are happy to administer any medications if required. If you would like any further information regarding our facilities, or would like to book a stay, please contact us on (08) 9300 2727.